HR Tech/job board pro Jonathan Duarte was kind enough to give his thoughts on what Google for Jobs means for talent acquisition leaders. 1) Why should heads of talent acquisition/recruiting care about Google for Jobs? company’s recruiting process, and candidate experience. Google has been one of the major traffic sources of job seekers for the last 10 years. Employers never saw this because most of that traffic funneled through Indeed or other search engine optimized job boards. This will continue for the short-term. Google for Jobs will speed the adoption of Employer Branding, as companies will need to promote their unique Employer Value Proposition (EVP), their culture, their mission, and why a job seeker should consider working for the company. TA and HR teams will hav e to solve their “candidate black hole” problems. A 7 to 10 day waiting period to review candidate resumes, and then only responding to a handful of candidates will continue to erode the candidate experience, and will start costing consumer brands money. New engagement and pre-screening tools, like chatbots, will help here, by initiating immediate conversations with applicants, giving them real-time feedback on their application, qualifications, and status through messaging. 2) What impact will GFJ have on heads of TA’s online media buying? Online media buying has been slowly moving towards Cost Per Applicant (CPA) and Pay Per Click (PPC) models. This will continue, but at a rapid pace. There are a number of companies like Appcast, Jobs2Careers, Recruitics, HireClix, and many other providing these services. They’ll be bundled into ATS and job distribution services. 3) Which job boards will be most affected by GFJ and how? In the short-term, Indeed looks to be the most likely to lose organic SEO traffic, from Google. What this means is that Indeed’s cost of acquiring candidates will increase. This will be a direct profitability hit to Indeed, because they’ve been living off of low candidate acquisition costs since their inception. The price that employers will pay for candidates is already set, so Indeed will have to absorb the increased cost. This will in no way be the end for Indeed. Indeed has been buying traffic for years, and they are an analytics driven company. They will simply continue to add value down the recruiting funnel, which they’ve already been doing. The impact on niche job boards and staffing firms, in the short-term, will be negligible. Indeed stopped accepting job postings from staffing firms and job boards over the last several years. As a result, these companies have already factored and found additional sources of candidate marketing. Staffing firms and niche job boards are already providing deeper recruiting services to their clients, be it sourcing, pre-screening, or recruitment process outsourcing (RPO) services. Recruiting is a process. 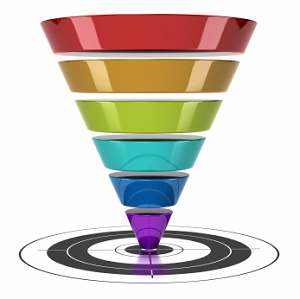 Attracting candidates is just the top of the funnel. Engaging, pre-screening, matching, qualifying, interviewing, scheduling, and onboarding are some of the other processes that are required in the recruiting process. Job boards traditionally have helped employers with the first couple of steps. The next big technology disruption in recruiting will be automating the rest of the processes, and that’s a much bigger deal than Google For Jobs, and it’s underway. Do you have any other thoughts on Google for Jobs? Over the last 20 years, one of major changes in recruiting has been the accessibility of “finding jobs”. Prior to Internet job boards, the primary tool for finding a job was the local Sunday newspaper classifieds. Advertising jobs was expensive, so 80% of jobs were never advertised. The lack of visibility of open positions, created the “Hidden Job Market”. It also created significant mobility barriers within the workforce. If you don’t know what jobs are open, you stayed with your existing company longer. With “all jobs everywhere” the “Hidden Job Market” is definitely a thing of the past. The friction between finding a new job has dropped significantly in the last 10 years. This has been a significant factor in the length of time workers are staying with the same company. If the current job doesn’t fit the individual, it’s much easier to find a new one. Now with Google For Jobs, finding jobs will be just one step easier because most job searches in the last 10 years started on search engines like Google anyways.